If your home has a garage, you should be familiar with some of the features of your door. One important feature of a garage door is the springs used to lift it. If you can’t get your door to lift, it might be because the springs or one of the springs is too weak to hold the weight. 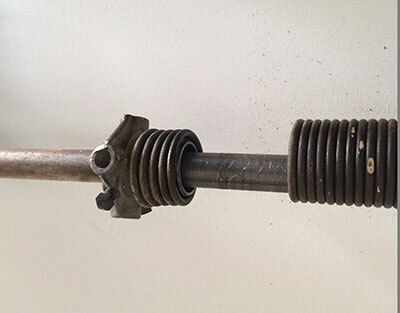 Over time and with continued use, the spring will become weak. This is to be expected. Since the lifecycle of both springs is the same, they should be repaired or replaced at the same time. This helps you to avoid the expense of an additional service call. When one spring is weak, the door may not raise up because the weight may simply be too much for the other spring. In some cases, the automatic opener can help lift the door but if the problem has been going on for too long, it may no longer be possible. Extension springs are installed on both sides of your garage door. The extension springs are usually used on residential doors. The springs use counterbalancing to hold the door in position. They also have more components than the torsion spring and thus may require more maintenance be performed. Extension springs have safety cables, which help to keep control of the spring if it should happen to break. 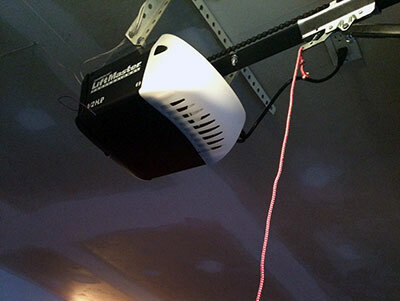 The cable is located on the track of the garage door. They could also be installed along the wall. It is important to confirm that safety cables are always in good working condition, just like the springs themselves. This is another way to ensure that no one is harmed from a broken spring. More spring repairs may be necessary in respect to extension springs. This is simply because they have more parts and are also the cheaper of the two types offered. Both types of springs have specific advantages. The type of garage door you have and the height of the door will help a professional service technician determine the type of garage door spring most appropriate. Once this has been determined, they can also discuss the various advantages with you, in detail.